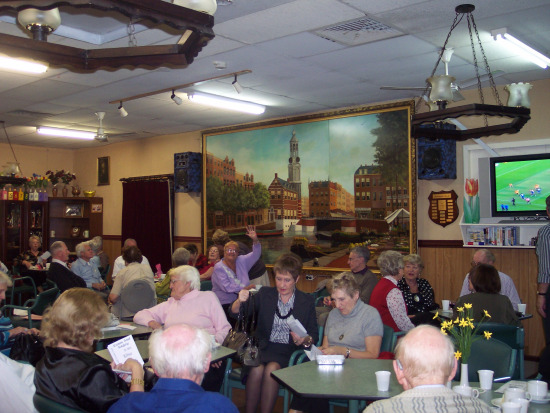 At our club, we have several interest groups. We welcome you to come along and have some fun. Dutch Class; Has been changed to a Friday night. All these subgroups are for members only. 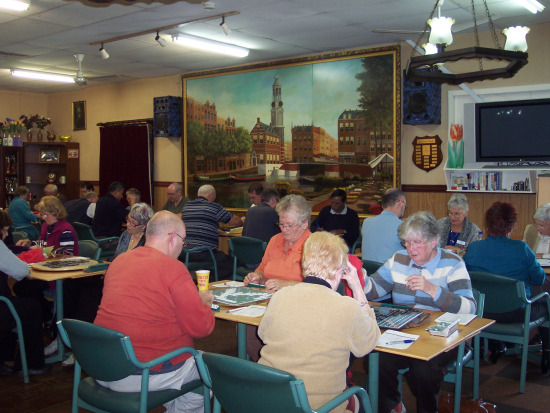 Our scrabble club is doing well, with a good turnout of players every Friday. 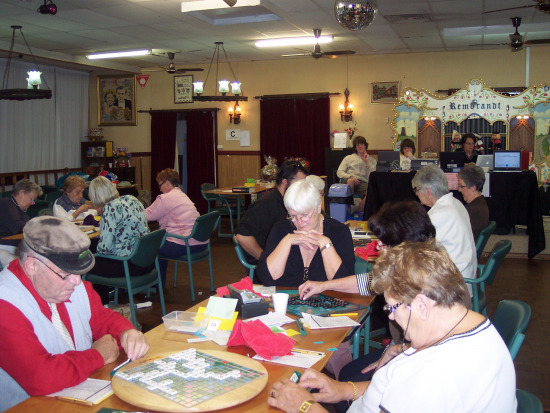 Scrabble is held at our Club every Friday from 11 am until the game finishes. So why not come along and enjoy a cuppa and some Dutch goodies while you play. For more info please contact Frances De Lange on 9671 7336. 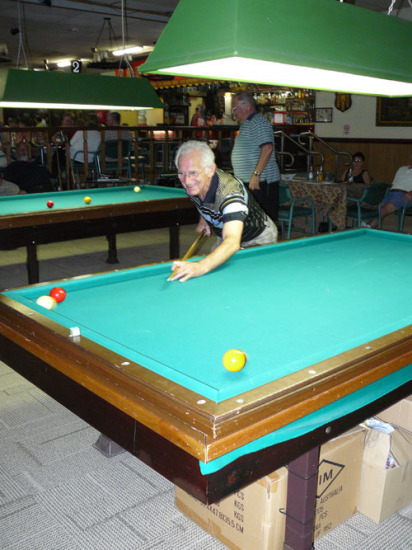 Rembrandt Billiard Club has a history that stems some 30 years. In the 1970’s a group of dedicated billiard players who felt that their interests were not being met from the administration of the Wilhelmina Dutch Club broke away and formed the fore runner of what is today the Rembrandt Dutch Club. The Billiard Club (Rembrandt as it was known) through hard work and the generosity of those dedicated individuals Rembrandt opened its doors to play Libra a type of Carom Billiards that is played on a table that is twice as long as it is wide, having no pockets and using only three balls (One Red and Two Whites). The membership of Rembrandt at that time was such that it required two separate nights just to accommodate the players which were graded into three distinct groups according to their skill level. Today, the billiard club still has a good following, playing Friday nights with an average of 13 players per night. 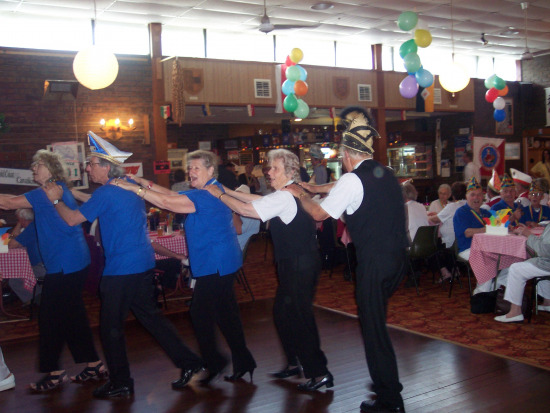 They enjoy the friendly atmosphere, the camaraderie, social games and annual billiard events that are organized, as well as the Interclub Competitions that occur throughout the year. Games are Friday night 7.30pm. This has been changed to a Friday night. Starting at 7pm sharp. Cost $15. That includes coffee/tea and a main meal. All needed books are supplied. It goes for 1 hour and the meal is served afterwards. There are some Dutch easy reading books to read for home work. 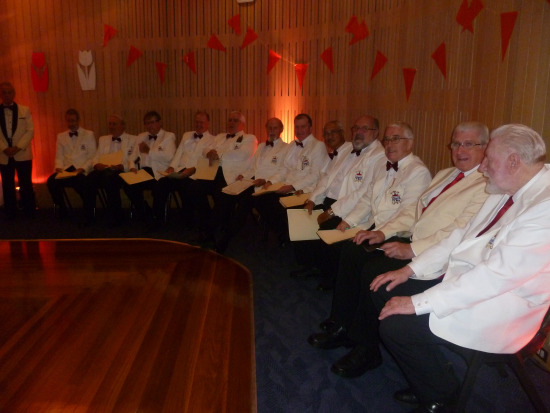 In 1985 eight members of the Rembrandt Club decided to start a Male Choir. This small group under the directorship of Harry Joosten grew in a few years to a 24 member choir. 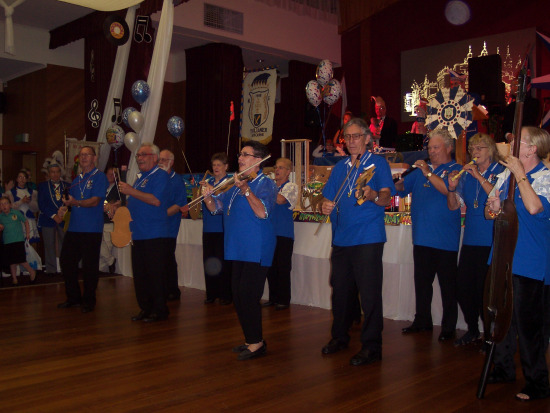 In the 1990s the choir had many successful concerts in Australia, such as, Bowral Tulip Festival, Orange Field days, Bathurst, Forbes, Newcastle, Wollongong, Springwood, Sydney Town Hall, The Opera House and a trip to Fiji. 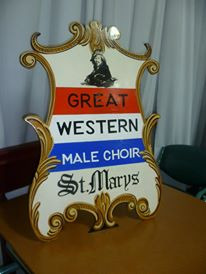 The Rembrandt Male Choir officially changed name to Great Western Male Choir. Carnival group The Kwasten: This group has been dissolved. It was great fun while it lasted. The Carnival group The Kwasten is in 2009 already 20 years young. It started when some members of the Rembrandt Club got together and wanted to do something different. Over the years many Princes have been crown and de-crowned. This always goes together with a celebration.The Kwasten have been on outings to visit their Carnival friends. They have been to Melbourne, Brisbane and even visited Perth. Such a visit usually gives the opportunity to perform on stage. In Geelong it was Andre Van Duin, then the 10 tenors and after that in Melbourne and Perth it was an imitation of the whole Johan Straus Orchestra including Andre Rieu.